With summer just around the corner, don’t let the “school’s out” mentality rule your tweens. Instead, take this time to teach them about something valuable beyond the classroom: financial responsibility. Craig Kaley, the author of Money Athletics: Your Game Plan to a Financially Fit Tween, stresses the importance of financial literacy at a young age, so that children have foundational knowledge to guide them toward better financial decisions later in life. Create a baseline expense list. This will act as your child’s annual budget for spending. Some expenses might include clothing, shoes, birthday gifts for friends and, of course, fun money. For a downloadable sample list, you can visit MoneyAthletics.com. Introduce them to long-term savings. Help them achieve their savings goals by using the “pay yourself first” concept. This includes putting money in savings for future allocations. Some of these could include long-term savings (for college, a car, etc. ), charity or an emergency account. You can even treat a savings account like a 401k plan where you provide a savings match. Keep their “paychecks” regular and realistic, such as monthly or weekly. Offer raises when you think it’s appropriate (e.g. maybe when they’re consistently doing their chores or after a milestone birthday). The paycheck amount should be determined by their expense and savings plan mentioned in the first two tips. Set your tween up with the appropriate accounts. Most banks offer checking and savings accounts for kids who are learning financial fundamentals as long as their parent or guardian co-signs. 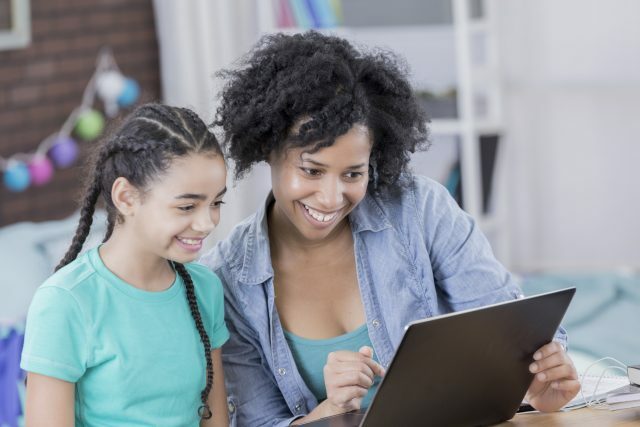 Depending on the bank and its policies, you might be able to set your tween up with an account that offers zero minimum balance and a debit card. Please note, however, that children under 13 cannot access Online Banking due to the Children’s Online Privacy Protection Act. While a trip to the ATM or the local bank branch might seem like a normal activity for an adult, these are still foreign places and activities for kids. Take your tween on a field trip to the local bank branch and show them how to use the drive-up windows to complete transactions. Opportunities to educate them about finances flourish when you also consider the potential teaching moments available in everyday life (e.g. the ATM, grocery stores, restaurants, etc.). For more strategies on guiding your kids toward a smart and successful financial future, pick up a copy of Kaley’s book, Money Athletics: Your Game Plan to a Financially Fit Tween.